Ergotron’s Workfit-TL provides the largest work surface area of the sit-stand desk solutions we offer. 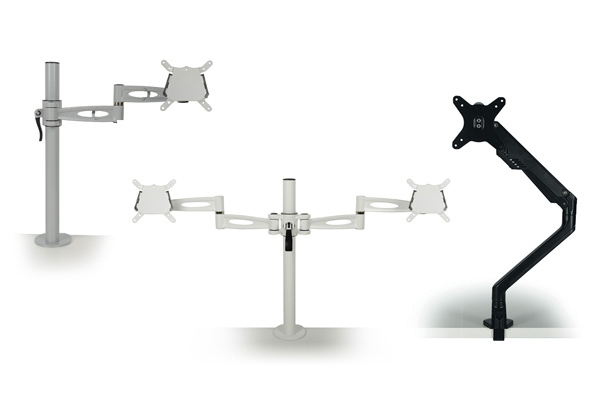 Desk converters easily transform a static desk or table into an active sit-stand workstation. Simply place the WorkFit-TL on your surface, release the hand-brake levers on either side, position the surface at the required height and you’re ready to work. The Workfit TL is a sturdy desktop converter offering a workstation that can be easily adjusted (it’s counterbalancing mechanism uses CF™ technology to facilitate quick height adjustment) with the stability to be lent on while working without worry of tip or height-drop. Also available in a slightly larger version – the WorkFit-TL and a smaller version too, the WorkFit-Z mini.